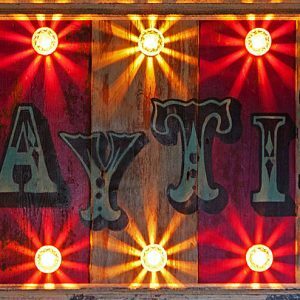 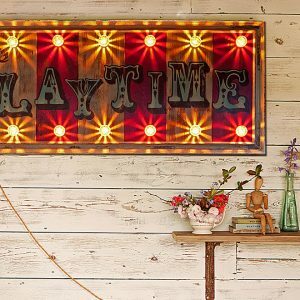 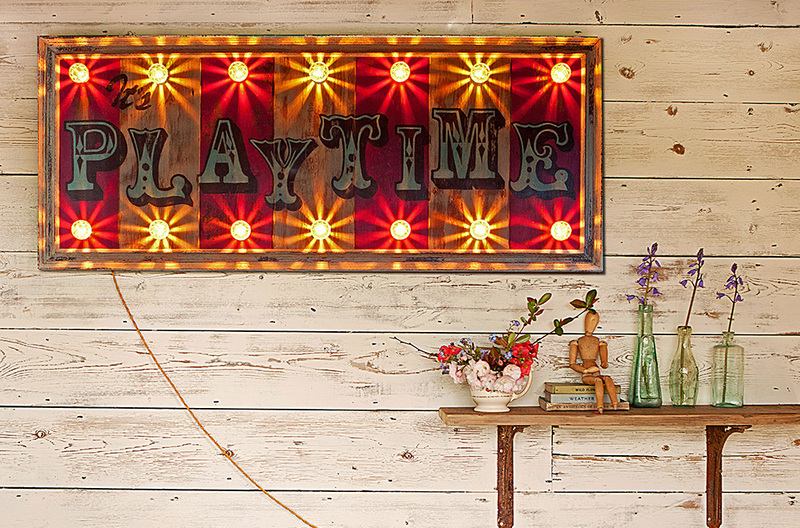 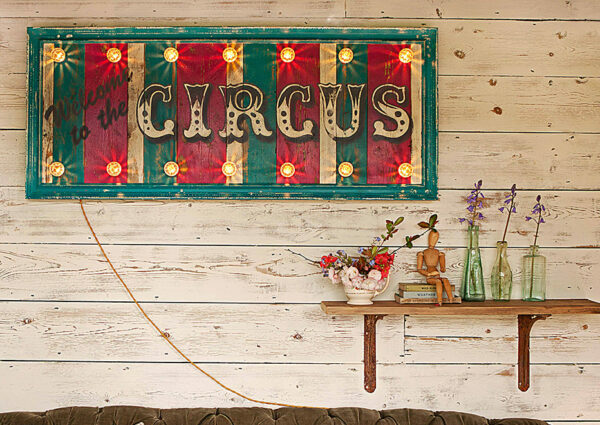 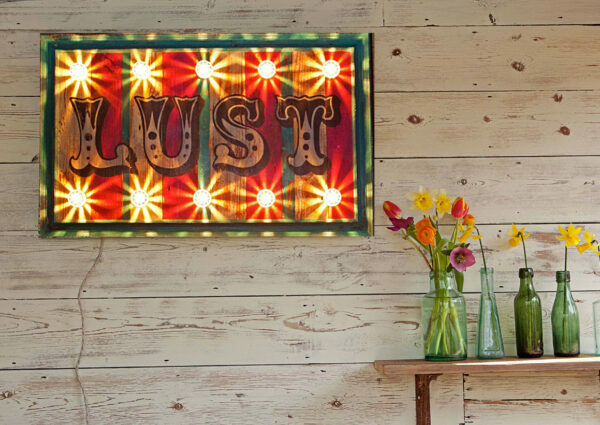 This fantastic sign has been hand painted in beautiful hot pink and cream, ‘Its Playtime’ has been painted with a black and white mixed circus and circus font and is finished with 12 authentic circus lights and surrounded by a cream frame. 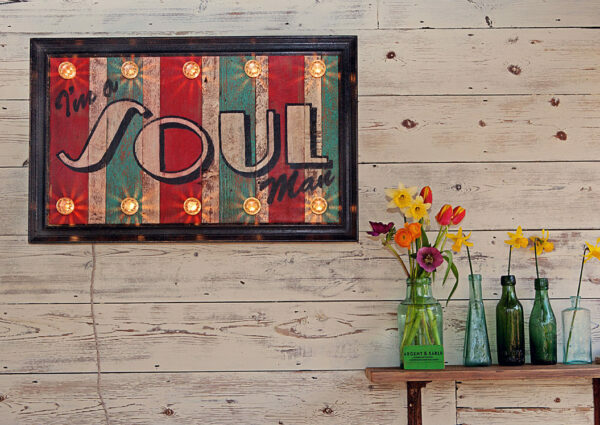 This sign has been aged and distressed to complete the authentic vintage style. 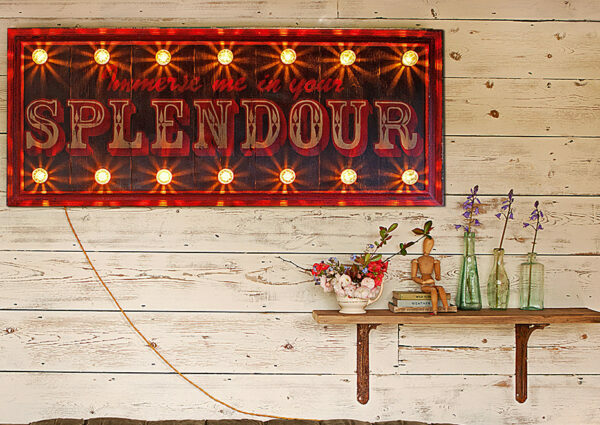 Dimensions: W120 x H50 x D10cm.